Looking for Leadership Programs in India? Need Executive Coaching? Highly qualified facilitators with valuable hands-on corporate work experience to draw upon. Our team includes several former CxOs and has conducted thousands of programs designed to meet many different challenges for a diverse set of organizations. Leadership Development, Collaboration, Coaching, Managing Innovation. As a Facilitator: Vikas has facilitated over 150 programs across levels. He has inspired participants to develop critical skills related to developing the art of Appreciation, Collaboration and Execution Discipline. He has shared the middle path solutions which involve looking at problems creatively and still be peaceful in one’s own being. Vikas has over 24 years of varied work experience with large multi-national companies; 8 years with Philips Electronics, followed by over 5 years with Ernst & Young Consulting – now Capgemini India. During this time, he performed a variety of roles which includes R&D, New Product Introduction Management, Strategic Procurement & Vendor Development, ERP implementation, Program management and consulting, Sales & BD, Alliance &Partners management. His last role at Capgemini involved managing a large team of professionals in the Microsoft Solutions Area. Manufacturing, BFSI, Engineering, Automotive, FMCG, Pharma, IT-Software, IT-Hardware, Media & Entertainment, Govt., Space Research, Education. As a Facilitator: Vikas has served reputed and leading organizations of the corporate world like ACC Limited, ANZ India, Atlas Copco India Ltd, Barclays Technology Center India, Bayer, Cigna TTK Health Insurance Co. Ltd, Domino Printech India, Eaton, Hager Electro, Johnson & Johnson, Jones Lang Lasalle, Mercedes- Benz India, Persistent Technologies, Racold, Rieco Industries, Suzuki Motors, Tata Motors, Tata Technologies, etc. Vikas is certified in MBTI, FIRO-B assessments. Along with that he is certified practitioner of NLP. He is an accredited user of Strengthscope Individual, 360 and Team Products. Other than he has been certified CPIM by APICS for proficiency in supply chain. Chat with Vikas and you will discover that he has done paragliding, is an avid photographer, loves to dabble in cooking or anything that is interesting, tracks weather systems, trains and has explored the mountains, forests and even the inner world of spirituality. He is teacher of the Art of Living and practices Yoga, Pranayama and Meditation regularly. He has a keen desire to work with people and help them realize their true potential and dreams. Vikas has compiled a book on Design of Experiment’s Simplified when he was working with Philips. He has been a visiting faculty at the Symbiosis Institute of Management and HRD (SCMHRD), SIBM, SCIT and has delivered several guest lectures at IIT SOM, Universal School of Business, SP Jain Institute of Mgmt. and India Times forums. Solutions for Senior-Top Management like Leadership Development Programs, Executive Coaching, Developing Coaches, Train the Trainer, Building and Motivating Teams to achieve business results. Vivek’s L/D – OD expertise covers a diverse set of areas for Senior-Top Management like Leadership Development Programs, Executive Coaching, Developing Coaches, Train the Trainer, Building and Motivating Teams to achieve business results and much more. His humorous but direct style of training leaves a great impact on participants giving them a lot of ‘Aha’ moments. 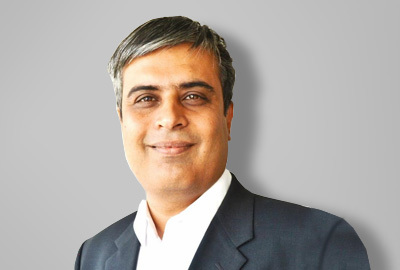 Besides being renowned for having an excellent ability to connect with the audience, Vivek is adept at understanding the business challenges, designing the program appropriately and ensuring that the business gets the desired result! That’s why you’ll discover that Vivek has successfully designed and delivered many training interventions across sectors. Vivek has close to 23+ years of work experience. During his corporate stint, Vivek has worked in the fields of Manufacturing, IT Consulting – Project Management – Service delivery – Account Management, Global Process Management, BPO, and ERP implementation in India and abroad (US, UK, China). As a Facilitator: He has trained more than 10,000 people over the past 10+ years, thanks to a lot of repeat orders, executing a variety of customized assignments. As a Facilitator: The clientele to benefit from his skills includes Allscripts Health Care Solutions Pvt Ltd, Atlas Copco India Ltd, B&R Industrial Automation Pvt Ltd, Bayer Cropscience Ltd, Flint Group, Harman International (India) Pvt Ltd, Lear Automotive, Madhura Fashion & Lifestyle, Mahindra & Mahindra Auto & Farm Sector, Morgan Stanley, Olam, Taj, Sudarshan Chemicals, General Mills, Mercedes Benz, Legrand, etc. As a Coach: Clients include Morgan Stanley, Harman International, SEW, Sudarshan, Sterlite, Rachana Builders, Wave Suspension and Forbes Marshall. Vivek is Credentialed by ICF as ACC, he is a FastTrack-certified Coach and a Trainer for INIFAC certified IF (TTT) program. He is also an MBTI certified practitioner; an ITIL foundation certificate; He is also NLP practitioner; He has successfully completed Diploma in experiential learning and education (DEEP). Vivek was a gold medalist while pursuing his B.E and is an M-Tech in Industrial Management from IIT Chennai. For a man who resigned his corporate job to pursue his passion for Training and impacting people’s lives, Vivek is someone who strives to practice what he preaches! In fact, he sees this as the biggest reason for the continued success of his training programs because he is able to share real-life experiences with them and that brings an instant connect! This man of many talents is an avid magician especially doling out tricks for his kids. Vivek is a theatre artist and numismatist too. But his biggest passion lies in taking the benefits of corporate training to families and positively impacting their happiness quotient, one family at a time. He is also very active with Social Organization SevaSahayog and is often invited to be a key-note speaker for a number of NGOs due to his ability to motivate the audience! Rajkumari is adept in Corporate Training (Leadership and Management Sessions), Business & Strategic HR Consulting, Facilitating Organizational Change & Transformation etc. She specializes in HR Systems & Automation of Processes, Shared Service Models, HR Climatic Audits, Vision, Mission & Value Roll-outs, Culture Building, Handling Mergers & Acquisitions, Employee Engagement Models, Assessment and Development Centre, International Movements and Processes. 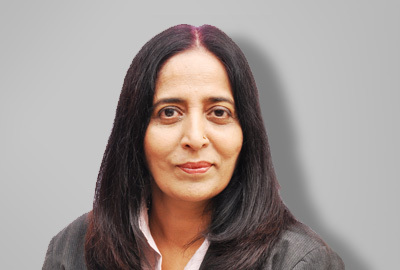 Rajkumari has experience of over 35 years as a HR and OD Consultancy, facilitation and as Head HR in small/mid/large size companies. She has over 5000 hours of national and international (Japan, US, Singapore, Dubai) lecturing and facilitation experience. Rajkumari has designed a range of HR policies/processes to ensure compliance with ethical governance and defined values appropriate to the organizations at domestic and international levels. She was part of the panel body to mitigate cases of dispute /noncompliance and enable executive management to arrive at decisions that are consistent, fair and transparent. Her last corporate assignment held was Head, International HR Shared Services (IHRSS) at Tech Mahindra. She was instrumental in designing and implementing the concept of International HR Shared Services. She transitioned HR from 23 countries to run it from India by providing end to end HR support to Tech Mahindra onsite employees, framing new strategies for process enhancement and automation. She has facilitated 5000+ hours in Corporate and Management Institutes. Customers served: Atlas Copco India Ltd, Berkadia Services India Pvt. Ltd, Celio Furture Fashion Ltd, Gera Developments Pvt. Ltd, L & T Ltd, Persistent Systems Ltd, Sesa Sterlite Ltd, Sudarshan Chemical Industries Ltd, SunGard Availability Services, Upside Learning Solutions Pvt. Ltd, Wipro Consulting, Accenture, HDFC, Barklays, RBL, Garware, Zensar , Persistent, John Deereetc., CEAT, Voltas, IIT Mumbai, BMC, Vodafone, Titan, Delloitte, Reliance, Sterlite, Turner International , SBI General Insurance, UNDP (IAS Officers), Arihant Industries, LA’farge, Bajaj Auto Finance, Ranstad, Vedanta Group, TranAsia, United Conveyors. Leadership, Strategic Thinking and Decision Making, Leading and Navigating Change, Executive Presence, High Impact Influencing, Negotiations, and Presentations, Leveraging Conflict, Coaching & Mentoring, Building Inspired and Motivated Teams, Consultative Selling, Building Commercial Acumen, and Leveraging Neuroscience and Human Evolution to Shift Mindsets. Manish is adept at facilitating in the areas of Leadership, Strategic Thinking and Decision Making, Executive Coaching & Mentoring, Leading and Navigating Change, Executive Presence, High Impact Influencing, Negotiations, and Presentations, Leveraging Conflict, Coaching & Mentoring, Building Inspired and Motivated Teams, Consultative Selling, Building Commercial Acumen, and Leveraging Neuroscience and Human Evolution to Shift Mindsets. 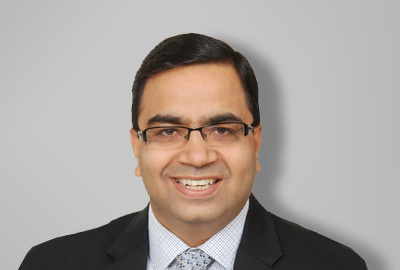 Manish is able to leverage his 19 years of corporate experience in the automobile industry and financial services across areas like Business Strategy, Operations, Relationship Management, Business and Product Development, and Client Sales Management. Having led large teams and businesses and worked with over 900 clients domestic and multinational clients, he is able to share numerous inter-disciplinary examples of live business and people situations in any given client context. This allows him to connect with the audience extremely well, enliven the sessions, customize and contextualize the content, and improve understanding and retention of the concepts. His deep interest in neuroscience and human evolution helps him in getting down to the ‘why’ behind the ‘what’ and the ‘how’ and create compelling constructs to shift mindsets and embrace change. Manish is able to leverage his experience of leading large teams and businesses, handling complex people and business situations, his deep interest in human psychology and organizational behavior, and his questioning and listening skills in executive coaching. His coaching clients include many at the CXO level. Over 24 years of experience including 19 years in the corporate sector. His last corporate assignment was as Managing Director and Sales Head for Treasury and Trade Solutions at a major multinational bank in India. He has facilitated workshops at mid to senior levels for over 30 corporate names across a diverse set of industries. Sectors Served: Automotive, BFSI, BPO, Chemicals and Pharmaceuticals, Consumer Durables, Consulting, IT & ITES, Manufacturing, Telecom, etc. Customers Served: Manish has facilitated programs in companies like ACC, Ambuja Cements, Anand Group, Ariston Thermo, Bank of America, BPL Medical Technologies, Cipla, Origio, Credit Suisse, Crisil, Duff & Phelps, Eli Lilly, Essar Group, Experian, Fino PayTech, HSBC, Indus Towers, Keva, Magma Fincorp, Mahindra & Mahindra, Mattel India, Oracle, PwC, Religare, Royal Enfield, Schneider Electric, Diversey, Tata AIA Life, VBeyond, Vodafone, Wilo Mather Platt, and Workhardt to name a few. Manish is a Certified Executive Coach from People Unlimited and is certified in facilitation Skills by Rubicon Learning Systems. Post Graduate Diploma in Business Administration from XLRI, Jamshedpur (1996) and B.E. (Hons) in Mechanical Engineering from Punjab Engineering College, Chandigarh (1992). Manish is warm, helpful, curious, and loves to have long conversations over coffee. He believes in learning by inviting discomfort and targets to learn something new every year. This quest has taken him to learn paragliding and skiing, studying and sharing his insights on happiness and human behaviour in marital relationships, writing books on making language learning fun (English Bites! My ‘Fullproof’ English Learning Formula, Penguin Books, 2012 and Let’s Talk in English, Penguin Books, 2015), co-founding a community club (“Coffee & Conversations”) for knowledge sharing, and driving cars and campervans on roads less travelled. In 2018 he has started learning Badminton, Hindustani Classical music – Vocal, Ornithology, and Photography. Leadership Development, Performance and Career Enhancement using Strengths Coaching, Employee Engagement for Managers, Coaching Skills, Advanced Presentation Skills, Managing Customer Relationships etc. Aman is skilled at facilitation. He helps his learners develop insights on how they can achieve more in the areas of Leadership Development, Employee Engagement for Managers, Coaching Skills, Communication Skills, Advanced Presentation Skills, Managing Customer Relationships etc. As a StrengthscopeTM accredited user and passionate evangelist of strengths psychology, he helps individuals, teams and organizations understand their strengths through the assessment and coaches them on how to best apply them in pursuit of peak performance. Aman has 19+ years of extensive experience working within the challenging confines of industry, doing coaching, mentoring, hiring, retention, motivation, engagement and performance management amongst his various roles as a ‘People Manager’. Today he weaves all that experience into the workshops he facilitates. Industries served: Information Technology, Financial Services, ITES, Automobile, Water Treatment and Technology, Manufacturing, Infrastructure, Telecom etc. 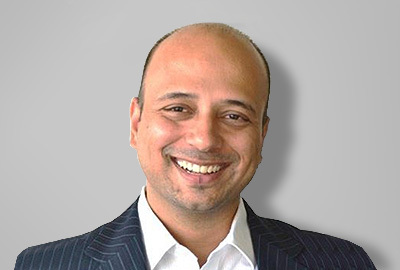 As a facilitator Aman has served some of the biggest names in the corporate world like Walt Disney, Mercedes Benz, Volkswagen, Piaggio, Deloitte, Vodafone, Randstad India Ltd, ACC, L&T, Atlas Copco, Euronet, Convergys, WNS, Bharti Realty, Abbott Healthcare, Advinus, Ecolab, Edelweiss etc. Aman is a Strengthscope™ Accredited User, certified Inspiring Facilitator and working towards a diploma in Training and Development from ISTD. Aman has a Master’s in Business Administration (Marketing), a Diploma in Experiential Education and Practice and a certificate in Advanced Skills in Experiential Practice. An affable, adroit conversationalist, Aman is passionate about ethics, values and people, and in creating enlivened workplaces. An absolute epicure with restaurant dreams and a Goa-enthusiast, Aman describes himself as an Information Junkie with interests in Anthropology, Archaeology, History, Development, Behavior, Management and trivia. It was his desire to work with a community which was as passionate as him about employee engagement, growth and well-being that drew him to Pragati Leadership. Executive Coaching, Leadership Development, Managerial Effectiveness, Leader as a Coach, bonding for Greatness, Change Management, Business Thinking, Client & Customer Orientation, Conflict Management, Team Building, MBTI & Teamwork, Time Management, Making Impactful Presentations, Managing People Performance, HR Consulting etc. As a Facilitator Yoshita approaches facilitation with a business consultant mindset, where she likes to understand the real-life business challenges that a workshop seeks to address. She is adept at designing customised workshops suitable to the profile of participants and enriched with contextual examples. Yoshita facilitates workshops on Leadership Development, First Time Managers, Manager as a Coach, Self-Mastery, MBTI, Interpersonal Skills, Conflict Management, Communication Skills, Presentation Skills, Team Transformation, Customer Orientation & Client Relationships, Change Management, Time Management. She also facilitates real time sessions to help leadership teams evolve their annual plans/ find solutions to existing business problems etc. Yoshita is a Certified Coach with more than 350 coaching hours. She believes in the transformational power of insightful conversations and seeks to recreate these in her coaching sessions. She works with Senior Leaders to help them understand their individual preferred leadership styles based on their strengths and how to optimize the same. She provides individualized executive coaching support to leaders for their development and growth especially as they transition into top management roles and face new challenges. Her coaching assignments have dealt with goals like building emotional intelligence, enhancing peer relationships, developing executive presence, strategic thinking, managing team performance etc. An MBA from Symbiosis Institute of Business Management, with over 18 years of total experience, Yoshita has worked across top notch FMCG & Healthcare organizations for 12 years. 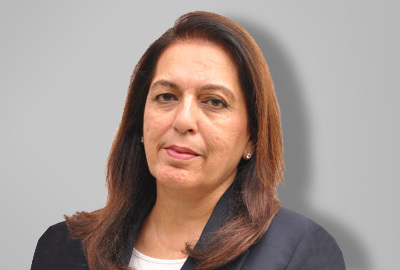 She has been in marketing management roles with P&L responsibility in Coca Cola, Dabur & Ranbaxy where she spearheaded brands like Dabur Gulabari, Hajmola Candy, Dabur Lal Tail, Volini. Passionate about people potential and learning, she became a de-facto trainer in her organization and conducted many learning sessions in branding, creativity, marketing management etc. before taking the plunge into the field of facilitation as a second career. Coach, Facilitator & Consultant for last five years, she enjoys facilitating interventions on Organizational, team and individual transformation.Her key strength as an L&D practitioner lies in her insider knowledge & deep understanding of business/ organizational realities and the challenges of leading a large group of people / cross functional teams to deliver business goals. Her training and practice as an Inner Child Therapist gives her a unique edge as someone who understands the deeper working of the human mind, which enables her to strike a chord with the participants/ coachee. IT – ITES, Manufacturing, BFSI, Pharma, Real Estate, Government, Media, Energy, Automobiles, Healthcare, Education, FMCG etc. Some of the corporate clients Yoshita has coached at senior & mid management levels are from companies such as Intec Capital, The 3C Company, Convergys, Siemens, JLL, Nalco etc. The first few things that strikes you about Yoshita are her magnetic personality, calming presence, zest for life, and never say die spirit. Yoshita loves living life 100% and to her every experience is a spiritual one. She is an avid learner of life who enjoys reading books and travelling to beautiful locations. She believes in the spirit of selfless service and spends her free time working with different causes. She also runs open workshops for inner transformation and healing. She is the founder of a platform called Divas Reinvent, where she engages with women in their mid 30s and 40s who want to reinvent their lives for more joy and fulfillment. Leadership Development, Sales and Marketing, Performance Enhancement, Customer Service, Organizational Development and Project Management. Rajiv is a visionary Leadership development specialist with comprehensive experience of industry, business, the professions, public bodies and local authorities. As a Facilitator: Rajiv has a strong desire to transform individuals into High Performing Professionals and create immense value in the process. In contrast to academic, model –led approaches, Rajiv approach the learners in a challenging and engaging process of discovering their own propensity for taking effective leadership actions within the business. He partners with organizations to create development that is aligned to the needs of the business, anchored to the business strategy, key business drivers, current leadership challenges and company value. His skill lies in making the participants identify core issues and make the complex simple, and hold the space for them to create their own solutions. Rajiv delivers learning interventions for corporates, family business, public bodies and government authorities, etc. across various practices of behavioral trainings viz: Leadership Development, Sales and Marketing, Performance Enhancement, Customer Service, Organizational Development and Project Management. 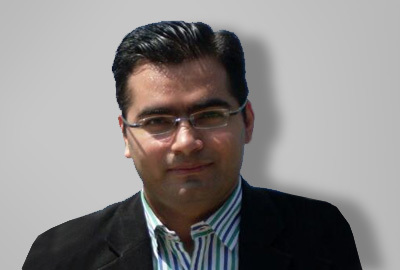 He started his career as a Commodities Trader with Adani Enterprises and in his last full time role he was a Principal Consultant – Leadership Development with an Investment Bank – Intellivate Capital based in London, Mumbai and Ahmedabad As an Empanelled Facilitator with several leading corporate learning organizations, he delivers consultative solutions for their esteemed clientele. Post January 2011, he has been facilitating Leadership Development Programs in India and the South East Asia region on behalf of Mind Gym, Management Centre Europe (MCE), Zig Ziglar, American Management Association (AMA), Acumen Business Consulting, Confederation of Indian Industry (CII). He is currently an Executive Coach to 20 General Managers of all the Holiday Inn and Crown Plaza hotels of Inter-Continental Hotel Group (IHG), India and Nepal. Rajiv is currently the adjunct faculty for Leadership Development @ S.P.Jain Institute of Management and Research, Mumbai, Dubai and Singapore Campus. He has been a visiting faculty with Greatlakes Institute of Management, Chennai, Indian School of Business (ISB), Hyderabad, Nirma University etc. Customers Served: Deloitte, Thomson Reuters, Bank of America, American Express, HSBC, Citibank, RBS, Credit Suisse, Axis Bank, TATA Communications, Microsoft, Cadbury, Uniliver, Bayer, Jones Lang Lasalle, InetrContinental Hotels Group, Piaggio, Pramerica, Amdocs, Parexel, Blue Dart, Siemens, Essar, Bombay Dyeing, Godrej Industries, HPCL, Sodexo, IIFP, Valspar, Wartsila, Union Bank, Experian,SAB MILLER, etc. He has done his Level 1 Coach Certification from the Institute of Executive Coaching and Leadership, Australia, an affiliation of the International Coach Federation (ICF). Masters in International Business from Symbiosis, Pune with specialization in International Marketing. Chat with Rajiv and you will discover that he is voraciously well read and extremely well-travelled with an innate ability to quickly connect with people. He is an acute and a sharp sense of humor that helps him break the ice. He comes across as someone who is inspirational, motivational and of course informational…! For Rajiv, reading is meditation and he often shares a lot of E-books to inquisitive participants in his workshops. What brought him to Pragati Leadership? It was his keen desire to learn, share & implement, meet new people and help individuals achieve their highest potential. At Dale Carnegie Training awarded the ‘Global Peak Performer Trainer’ in 2008 among 2900 trainers worldwide. At Dale Carnegie Training awarded ‘Superior Trainer of the Year’ for 2008 among 2900 trainers worldwide. At his Business School – consistently ranked amongst the top 3 faculties since 2010 with an average score of 4.8 / 5 rated by students who are practicing Entrepreneurs. Ranked as ‘India’s No. 2 Public Speaker’ in 2001 by CYDA,Pune. Guest of Honor and hosted the “Women in Leadership Roles’ at the Installation Ceremony of Kapol Couples, NCPA, Mumbai in 2013 alongside Smriti Irani, current Member of Parliament (Rajya Sabha) for Gujarat. Ruchika’s work encompasses working with Managers-Leaders in organizations to help them understand their preferred leadership style and how it impacts their team performance and business results. She is a certified Professional Behavior Analyst (CPBA®) certified in the DISC system. Armed with this knowledge, she facilitates positive change in people by improving their thinking on how to activate own and other’s strengths and how to manage own and other’s blind spots thus helping leaders with creating a climate of performance by combining motivation, behavior and leadership styles. Ruchika has been designing and delivering interactive, experiential leadership development programs for the past 11+ years. Ruchika has facilitated over 500 programs (3000+ training hours) across various levels. Ruchika holds a diploma in Experiential Education Practice, which enables her to create a variety of experiences to make learning more engaging and meaningful. She is skilled at designing interactive processes that gain buy-in and commitment to action plans. She has in-depth understanding of group dynamics and learner centered methods of dialogue to bring in new energy to facilitation and more excitement for participants by means of direct experiences which are tied to real world problems. Ruchika brings to her sessions not only her understanding but also the experiences of all the people she has trained. Her passion lies in using all these experiences in helping people develop to their fullest potential. Her key strength as an L&D practitioner lies in her deep understanding of organizational realties and the challenges of leading a group of people, having worked herself within the challenging confines of the industry coaching, mentoring, motivating and managing performance in her role as a People Manager. Ruchika comes with an extensive experience of 17 years. She has worked in the ITES industry for 5 years before taking the plunge into the field of learning and development. Over the past 11 years, she has been working as a learning and development professional, partnering with organizations to help them identify training and development needs, designing and customizing programs based on both organizational and individual needs, devising individual learning plans and managing roll out schedules. Ruchika has always had a love and appreciation for the natural world. This passion and drive brought her to exploring the Himalaya. For the last 6 years, she has been spending 2-3 months annually, trekking and backpacking in the Himalaya. Leadership Development, First Time Managers, Manager of Managers, Goal Setting and Appraisals, Time and Self -Management, Personal Effectiveness, Communication skills, Stress Management, Sales Strategy, Selling Skills, Consultative Selling, Influencing Skills, Conflict Resolution, Customer Orientation, Negotiation Skills, Strategic Thinking. Leadership Development, First Time Managers, Manager of Managers, Goal Setting and Appraisals, Time and Self -Management, Personal Effectiveness, Communication skills, Stress Management, Sales Strategy, Selling Skills, Consultative Selling, Influencing Skills,Conflict Resolution, Customer Orientation, Negotiation Skills, Strategic Thinking. Setting up new programs for driving sales and marketing including Global Account Management program and Reciprocal business programme. Working with Government and prepared response for Proposals, Tenders, RFPs, EOI. Mentoring, Coaching, Training and upgrading the knowledge of Sales, Marketing and Operation Teams on Soft Skills, Products and Services. Developing and implementing market plan at National level. Strategic thinking and developing business and financial plan. Developing, organizing and executed the marketing campaign for launch of new products through press conferences, launch function, road shows and advertising campaigns. 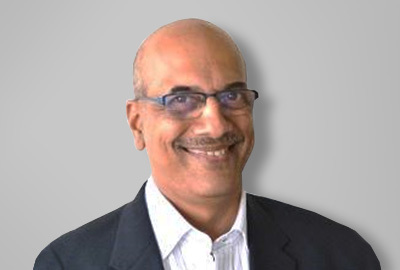 Kapil is a seasoned professional with over 20 years’ experience and has worked in several organizations such as Reliance, Sulzer, Microland, Mithi, Cable & Wireless, DishnetDSL and Airtel. He has been instrumental in setting up the Internet Business for DishnetDSL one of the pioneers in providing internet access in India. He also worked as the Chief Marketing officer at Mithi which launched one of the fastest growing email services in local languages. He last worked at Airtel Business for 10 years where he had multiple profiles such as Regional Sales Head Tamil Nadu and Kerala, National Head – ITES & Media and Services vertical and his last profile was Business Head handling Maharashtra, Gujarat and Goa. Customers Served: Atlas Copco, DishnetDSL, Force Motors, Legrand, Wilo, Mather & Plat, Bekaert, Mahindra & Mahindra, Kotak General Insurance, Vodafone, Airtel etc. Kapil is an avid reader and learner of the teachings of Buddha. Having studied the Pali script he is keen to read the original teachings of Buddha. He is a complete foodie apart from being an ardent golfer, runner and vipassana practitioner. HR Policies/Systems/Processes. Management Development, Creativity and Innovation, Performance Management, Leadership Development, Interviewing skills, Emotional Intelligence etc. Subhash’s knowledge and skills lie primarily in creating and implementing extremely innovative and effective HR Systems and Practices. Here is a man who adopts a hands-on, practical approach blended with a strong conceptual foundation aided by his vast industry knowledge and experience. With over 15 years of experience till date, Subhash has contributed significantly in the areas of Manpower Planning and Staffing, HR policies and systems, Performance Management, Organization Development, Compensation Systems and Training and Development. He has devised a number of games and exercises on Communication and Team Working. His forte lies in conducting workshops on Creativity and Innovation, Performance Management, Leadership Development, Interviewing skills, Emotional Intelligence and Team Synergy. Subhash has overall experience of 40 years that includes HR consultancy experience of over 15 years and HRM experience of 25 years, Subhash had designed programs on Group Dynamics, Creativity and Assertiveness to suit his organization’s requirements. What sets him apart is that he has a unique blend of HR experience in both manufacturing and IT sectors. During his corporate stint, he worked in TELCO (Now Tata Motors), Grindwell Norton, TVS Electronics, PCL Mindware, and Apcosoft Infoway. Sectors Served: FMCG, Manufacturing, Automobile, Chemicals, Banking and Finance, Retail, IT- ITeS etc. Customers Served: ACC Limited, Sudarshan Chemical Industries Ltd., Hero MotoCorp Limited, Tata Marcopolo Motors Limited, Reliance Capital Pvt. Ltd, CGI, Bestseller Retail India Pvt. Ltd, Emami Ltd., Harman International (India) Pvt. Ltd, Intec Capital Ltd., Pidilite Industries Limited, Prescient Color Ltd, Wirtgen India Pvt. Ltd., Upside Learning Solutions Pvt. Ltd. etc. MA, MBA and LLB from Pune University. When you get to know Subhash, you’re bound to discover a man blessed with unmatched insight into the specific performance/attitude gaps in the industry, which he addresses and bridges through his training. No wonder then that Subhash has been a visiting faculty at institutions such as IIM-Bengaluru, HRD Network and Ahmedabad Management Association, besides serving as the president of National HRD Network, Bangalore during 1993-95. Leadership Development, Managerial Development, Training of Trainers, Performance Coaching for Managers, building a culture of Accountability, Vision Mission and Values roll-out, deliver workshops on Managerial Effectiveness, Value Based Leadership, Decision Making, Result Orientation, Performance Management, Team Management, Managing Virtual Teams etc. Sushil is Sushil is adept at Training leaders, managers and frontlines on leadership, managerial effectiveness, role-based competencies, personal effectiveness, sales and client relationship. He is an effective Group Process Facilitator helping organizations have meaningful change conversations. He does performance coaching for managers; he consults on learning and development projects, drives learning journeys and vision mission and values roll-outs. Sushil’s standout quality is his background in customer acquisition, customer retention, operational excellence and managing cross cultural teams in leadership position. He is known for his ability to tell stories and share examples that makes learning simple, relevant and help retention and recall. His business friendly approach helps participant relate to him. He insists on detailed and in depth pre-study to enable highly customized learning journeys. This also helps him speak the industry and business language during workshops. He has facilitated programs across levels, across industries in India, Srilanka and Thailand. Sushil started his career in 1995; he has worked as a sales professional for two years with Standard Chartered Bank and then Modi Xerox. Six years in leadership position in Marketing, Business Operations and Franchisee Management with an IT training company (Boston Education and Software Technologies), Eleven years in Corporate Training & L&D Consulting as a Business Head and Principal Consultant (Siksha) managing business development and operations in India and past 5 years as an L&D Consultant doing training for some of the leading Indian and Multinational organizations. Bachelor of Commerce from Mumbai University. Sushil is driven by his values of Family, Harmony and Excellence. He believes he is a lifelong student of nature and humanity and seeks to learn from everyone and everything. He likes to live in the here and now and enjoy what the moment has to offer. His style of working is often compared to that of a swan gliding over the water, while he pedals hard below the surface. His calm demeanor hardly ever reveals the immense work he puts in and the pressures he manages to achieve goals and get things done. He is a movie enthusiast and an admirer of the performing arts. He has always supported causes related to education, taking care of the old and orphaned, and kids suffering from critical illness and will continue doing so. Leader/ Manager as a Coach, Effective Facilitation Skills [TTT], Managerial Styles & Effective Delegation, Effective Feedback- Impacting Performance, Consultative Selling Skills, Leadership, Developing Presentation Skills. Being a Certified Professional Facilitator (CPF), Mrunal believes in the wisdom of the group while playing the role of a process facilitator conducting workshops. As a result, the participants experience being engaged, collaborative and taking ownership to create desired outcome. As an Executive Coach: Mrunal brings in deep listening and presence which impacts the awareness of the Coachee. Feeling empowered is a common experience for the Coachee leading to unleashing the potential within to achieving the desired outcome. Mrunal has conducted workshops for various industries and enjoys bringing a positive change on the behavioral and attitudinal aspects of the participants. 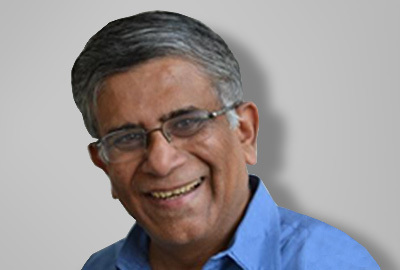 As an Executive Coach: Mrunal has experienced different dimensions of coaching like performance coaching, ontological coaching, appreciative coaching- each having its uniqueness in bringing out the awareness and change in the Coachee. Mrunal is sought by clients for coaching leaders / high potentials; as well to building coaching skills workshops for leaders enabling them to empower their team members. Certified Professional Facilitator [CPF] from International Association of Facilitators [IAF]; Completing “Pragati Leadership’s Fast Track Coaching Program” [60 hours]- ICF approved Coaching Certification from Coaharya [65 hours- ICF approved] Appreciative Coaching from Fielding Graduate University, USA [ICF recognised] Fundamentals of Ontological Coaching [ICF recognised] Coaching for Breakthrough Performance from SMR- Malaysia Certified Professional Trainer- The Magic of Making Training Fun! from SMR- Malaysia Certified in – Interactive Techniques for Instructor Led Training by the thiagi group Certified in Belbin Team Role Accredition Course Diploma in Experiential Education Program [DEEP] An Appreciative Inquiry Foundation Program- by Resonate Consulting Currently pursuing his coaching credential from ICF and have logged in close to 490 hours of one-on-one coaching. As one who strives for a healthy work-life balance, Mrunal is a proponent of Isha Yoga & regularly practices pranayam & meditation, loves to read and pursues photography. He is passionate about self-development, making a difference and building authentic relationships! As a volunteer, he is part of the Managing Committee of the ICF-Mumbai Chapter. He is also a core team member of International Association of Facilitators (IAF)-India. Senior Leadership Development, Managerial Development, coaching with MBTI & EI, Train-the-Trainer, Personality Development, Interpersonal Skills, Team Building, Effective Time Management, Customer-centricity, Systems approach and Total Quality Management, Communication Skills, Emotional Intelligence etc. Dr. Kalindi is adept at facilitating Senior Leadership Development, Managerial Development, Training-the-Trainer, Personality Development, Interpersonal Skills, Team Building, Effective Communication Skills, Advanced Communication Skills and Emotional Intelligence Programs. Being an Emotional Intelligence (EI) and MBTI certified assessor, she is adept at interpreting MBTI assessment results and coaching people to practice EI for achieving results with joyful effectiveness. As a Coach: Dr. Kalindi is a Certified Coach who has completed the 40-hr Coach-Training from Results Coaching based on the International Coach Federation (ICF) Core – competencies. She has trained Leaders to acquire Coaching skills and thereby become effective leaders and mentors. She has also provided individualized Coaching support to individuals in the Corporate Sector for their development and growth. As a Quality Systems Auditor: Dr. Kalindi is a Certified Quality Systems Auditor and has over 200 days of systems auditing experience in manufacturing, Hospitality and Education sector. This helps Dr. Kalindi in making leaders connect learning to their role better and have focused process approach. Kalindi has close to 30 years of national and international experience across 20 countries, with over 25,000 hours of experience in facilitation and coaching. She has over 15 years of experience as a Facilitator & Coach, 200+ programs as a facilitator (5000+ hours) and almost 100 hours of Coaching. Quality systems auditing Experience in Hospitality, Manufacturing, & Education sector, in India and abroad. Sectors Served: Manufacturing, Pharma, Finance, Telecommunication, IT – ITES, Hospitality, Education etc. As a Facilitator: Dr. Kalindi has served some of the biggest names in the corporate world like Atlas Copco, SAS, Piaggio, SEMCO, Tata BP Solar, Vodafone, Tata Technology, Sandvik, Principal Finance Group, Indelox, Visteon etc. As an Executive Coach: She has provided Coaching services to clients like Sudarshan Chemicals, Unitech etc. As a System’s Auditor: Dr. Kalindi has audited organizations like Biocon, IIT Chennai, Godfrey Phillips, Jain Irrigation Food division, Mahindra Club-Munnar, Tea Garden Darjeeling, MAS flight kitchens Penang – Kuala Lumpur. Certified Executive Coach, Certified MBTI Assessor, six seconds Emotional Intelligence, recently completed the Certified Assessor’s Program: Designing and Conducting Assessment Centre’s; Lead Assessor-Quality systems, Six-sigma green Belt and a Certified Hospitality Educator. 1. Ph. D. in Human Resource Development. 2. Post-graduate in Business Management. Dr. Kalindi likes being amidst people, interactions and conversations are her highs, informal meets over cups of coffee are her idea of quality leisure time. Not surprising since hosting comes naturally to Dr. Kalindi who is a Certified Hospitality Trainer from American Hotel Motel Association. Dr. Kalindi is working with rural women &children since 1991 and been successful in empowering women by making them self-sufficient. Dr. Kalindi is a reiki-master and an ssy-meditator. She is an Ex-Vice President for Indian Society for Training and Development, Pune and was also an executive board member of the Human Resource Development Network, Pune chapter. 1. Has published paper on rural women empowerment. 2. Has published an article on ISO 9000 and its application in Hospitality industry. Leadership Development, Women leadership development, Diversity and Collaboration, Managerial Effectiveness, Cross – Cultural sensitivity, Business Communication, Presentation skills, Interviewing Skills, Client Connect, Team building, Visioning and Strategy. Preetha S. is a Leadership Trainer-Facilitator-Coach with National and International experience. She specializes in Leadership Development, Women leadership development, Diversity and Collaboration, Managerial Effectiveness, Cross – Cultural sensitivity, Business Communication, Presentation skills, Interviewing Skills, Client Connect, Team building, Visioning and Strategy. She has trained over 5000 people in India, Singapore, Hong Kong, Malayasia, Srilanka and Middle-East from various disciplines in the last 10 years. Preetha has over 15 years of National and International experience as a Leadership Trainer, she has trained more than 5000 people in India and abroad. Preetha has over 15 years of experience in Leadership Development, Human Resource Management, and Organization Development, Training, Process facilitation and Executive Coaching across India, Asia Pacific and U.S.
Preetha brings a unique combination of corporate senior management expertise and real-time experience of being a coach, mentor, trainer – facilitator and HR practitioner. She has over 750 hours of one-on- one Leadership Coaching experience and has facilitated numerous high impact programs in India and in, Singapore, Malayasia, China and Sri Lanka. Her experience includes, engaging teams in strategy workshops, conducting change management sessions facilitating skill gap analyses and empowering self-learning programs. Recent highlights include Campus to Corporate Programs and First time people managers. Customers Served: Acciona Energia, Adroit, Bayer, Janalakshmi Financial Services, Janabank, Pfizer Pharma etc. Facilitating behavioral skills workshops, coaching, mentoring, performance consulting, content development. Kavita excels in facilitating behavioral skills workshops for all levels of audience, from across sectors. She develops content to ensure experiential learning based outcomes. She consults organizations for productivity improvement, for them to get time, cost, and quality benefits. 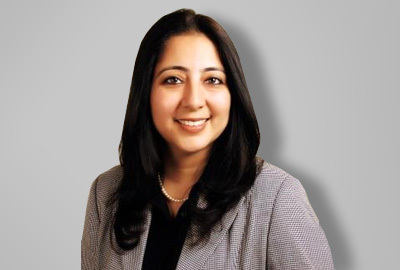 During the last 16 years, while training for more than 100 Fortune 500 companies, Kavita has deep dived into training needs analysis, customized content development and showcasing ROI (return on investment) on behavioral trainings. Her journey in this field has given her the exposure and experience of developing retail banking products’ technical and behavioral skills courseware, designing and executing assessment and development centers, managing end to end training interventions for public sector banks, coaching senior management on performance management. 16 years of experience as a facilitator and consultant for different sectors. Customers Served: PWC, Citibank, HDFC Bank, SBI, Credit Suisse, Edelweiss, RBS, Honeywell, Natinal Payments Corporation of India, Mindtree, SAP Labs, VMWare, TCS, Accenture, Gnepact, Texas Instruments, Capgemini, HP Enterprise, Indian Railways, Times of India, Tata Communications, UTC Aerospace, Panasonic, RPG – Sanjeev Goenka Group, Godrej & Boyce, Hindalco, Emerson, Alstom, BPCL, HPCL, Novartis, Cipla, Wockhardt, Glenmark, Abbott Laboratories, Urban Ladder, Inmobi, Hero Motocorp, Hyundai, BMW, Maruti Suzuki, Airtel and other clients. Dale Carnegie & Associates Certification as a trainer, TTT for Outbound trainings, Entrepreneurial Competencies Trainer certification from NIESBUD, Noida. Kavita believes in the daily evolution of self and so puts all her efforts in bringing out the genius and uniqueness of all during her trainings. She believes in leading by example and adding value wherever she is. Her communication and interpersonal skills help her to establish a connect with people. She is adaptive and tries settling in areas out of her comfort zone. She loves to dive deep into the human psyche, study behaviors, read, travel and cook. She is a people’s person and loves to spend time with family and relatives. During her tenure with Dale Carnegie Trainings India, she was awarded the Most Valuable Trainer (Runner Up) Award. With Mafoi (Randstad), she won the ‘Employee of the month’ award several times. With close to 30 years of industry experience panning education management, quality management, franchisee operations, business operations, partner engagement and Global Strategic HR at a ranked ‘Great Place to Work’, Shampi brings in a unique blend of Business and HR capabilities. She works with MDs/CEOs and their leadership teams of small and medium enterprises, on a long-term basis, to co-create their corporate identity and work with them on transformation to a professional work-space and build a culture of accountability and high performance. She plays an involved and passionate role in execution and positions herself as a mentor to the management team. She has also enabled the development of in-house capability by on-the-job mentoring and workshops in her client organizations. Sectors Served: Education and Training, IT & ITES, Manufacturing, Financial and Risk Services, Security services, eCommerce, NGOs, Transport, Professional Services. Shampi is known for creating high performance teams through inspirational leadership and has been a strong practitioner of on-the-job mentoring and coaching. With role changes every 2-3 years in her 28 years of a corporate career, moving away from comfort zones has been the secret of her success. She exudes positivity, gravitas and an interesting combination of energy and serenity at the same time. She has led large, diverse and distributed teams and always inspired them to deliver high-performance. She totally believes in leveraging the strengths of the people she works with and focusses on the positive aspects of everything, since she lives by the mantra — ‘what you focus on expands’. Her personal and professional life has been an exemplary example of defining life’s moments and operating in the circles of control and influence. Shampi believes that ownership & accountability, hard-work and willingness to learn and innovate are the top 5 ingredients for success. She is also an active blogger on Linked In. Leadership Development, Accepting People, Team Building, Subordinate Development, Reflective Conversations, Career Conversations, Interviewing Skills, Train the Trainer, Presentation Skills, Problem Solving, Stress Management, Time Management, Interpersonal Skills, Conflict Management, Business Communication. Meenakshi is a Behavioural Coach and specialize in conducting One-One coaching and classroom sessions. She has completed over 400 Hours of One-One Coaching. Apart from Coaching, she is a certified facilitator and a Master NLP Practitioner and has over 14 years of experience as a Behavioural Trainer and a Management Consultant. While in college, Meenakshi worked as an Anchor with All India Radio (AIR) New Delhi. Soon after, she joined IBM Daksh and went on to become a Trainer. Given her strength in communication, she moved to AHA Corporate Training and Holistic Training Solutions, spent nearly 4 ½ years conducting workshops for various clients. 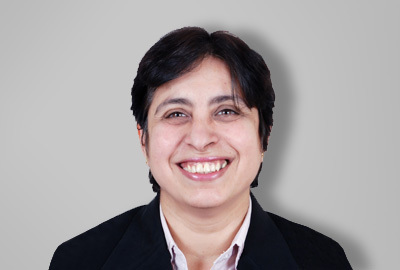 Since 2007, she has been associated with companies like FUJITSU and TECH MAHINDRA and has contributed extensively to the in the area of Leadership Development. She became a Leadership Coach and Mentor with Fujitsu and Tech Mahindra and was involved in designing & facilitating leadership development programs, such as Leadership Conversations, Consulting Skills, Coaching Skills for Managers and Work Life Balance. She has been associated with Tech Mahindra Foundation since 2015 and done a lot of programs for primary school teachers of MCD Schools using Bloom’s Taxonomy and Mind Mapping. Her programs have been highly successful because of her ability to connect with people and get them to reflect during one-on-one conversations. Sectors Served: Fujitsu, TechMahindra, Aeris Communication, GE-Healtcare, AirHostess Academy, SOTC, Caterpillar, EXL, Punj Lloyd, Ericsson, Navisite, Maruti Suzuki India Ltd, Cap Gemini, India Mart, Dominos, XL Pvt. Ltd., Indian Inc, Xansa, Polaris, Metso, CSC, Lladro, MCD Schools, Mother’s Pride, Sharda University, Amity University, Arya College of Engineering-Jaipur. Meenakshi is an energetic, warm person and follows a holistic approach towards life both professionally and personally. She has an urge to work on herself and has been constantly upskilling herself in the area of Training and Coaching. She is also a follower of spirituality and does Yoga, meditation for Mind Body and Soul. She is a Reiki Master and Acupressure Practitioner. She loves travelling and reading during her leisure time. Solutions for Junior-Top Management like Leadership Development Programs, Executive Coaching, Manager as a Coach, Managerial Development Programs, Soft skills Programs to achieve business results. She also works as a HR Consultant for OD efforts in organizations. Anitha Balaraj is a HR Professional with over 12 years of experience in diverse HR verticals – HR Business Partnering, Learning & Talent Development / OD, Performance Management and HR Consulting. As a part of KPMG Human Capital Consulting, she has delivered on multiple consulting engagements in the area of Organizational Restructuring, HR Systems and Process Design. Her specialist and HRBP experience in Scope and in BASF makes her an expert in Talent Assessment & Development, Employee Performance Management and various facets of HR Business Partnering. Anitha is passionate in applying her HR & consulting expertise towards helping organizations scale up in their transformational journey. She also coaches leaders, professionals & entrepreneurs with a special focus on women and millennials. As an Assessor: She has assessed many candidates using a wide variety of psychometric tools in multiple settings for recruitment and development and promotion. She has been part of many assessment centers as an assessor. Sectors Served: IT – Manufacturing, IT, Banking, Finance, Health care, Insurance, Telecom, BPO, Hospitality, Research and Development, Food Logistics, Pharmaceuticals, Consulting, FMCG, Construction, etc. Clientele: WorldBank, CMA CGM, GAP, Swasth, Cherie Blair Foundation, MSSW, Aon Hewitt, Betterup. ICF ACC Credentialed Coach certified from Leadership that Works, Hogan Certified Practitioner, Train the Facilitator from Dale Carnegie, Thomas certified practitioner in PPA-HJA, GIA-TST tools, Playback Theatre Advanced Certification, Mercer International Position Evaluation Certification, Competency based interviewing certification and Advanced Consulting Skills and HR Business Partnering. Communication Skills, Core Management Skills, Personal Effectiveness, Time Management, Interpersonal Skills, Competencies, Goal Setting, Problem Solving, Sales Leadership, Customer Relations Management. As a Facilitator, Kishore specializes in Communication Skills, Core Management Skills, Personal Effectiveness, Learning & Self Mastery, Time Management, Interpersonal Skills, Competencies, Performance Management Systems, Goal Setting, Problem Solving, Sales Leadership, Customer Relations Management. 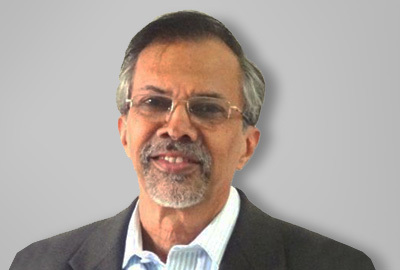 Kishore has worked in Corporate Manufacturing Organizations for 33 years from 1980 to 2013, evolving from Technologist to Manager to Leader, growing from Management Trainee to Manager to Vice President to Director. Since 2013, Kishore has been working in Human Capability Development and continuing. He is currently performing a dual role of helping clients identify the right development programs and executing the same. Sectors Served: Paints, Fertilizers, Chemicals, Pharmaceuticals, Automobiles, Hospitality, Mining Machinery, Metallurgy, Mineral Processing etc. Kishore’s life ambition is to help working executives become more effective in their workplace and help them find joy in their personal lives. To this end, he is on a continual learning path. 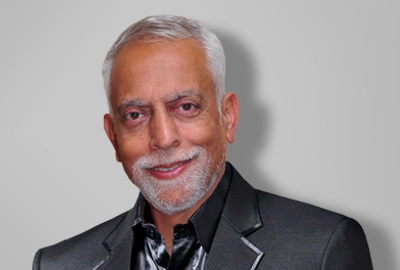 In his facilitation programs, Kishore uses insights developed over 38 years in managerial and leadership skills and knowledge gained through his studies in behavioral sciences. In his spare time, Kishore is a career counsellor and editor. Talent Development, L & D. Strategic and resourceful professional, providing input and recommendations to business leaders on structure, HR (organizational design, resource planning), Performance Management, Competency Framework and Assessment and TALENT Development. He has worked with the middle and top management of IT companies to help develop Effective managers and future leaders. As a HR consultant: Manoj has worked very closely with some of the biggest names in the IT sector in particular over the past decade, transforming their HR systems systematically. Manoj has implemented ERP systems. He has been responsible for SAP R/3 HRMIS implementation across multiple countries for large Org. He has conducted talks and guidance on Fitness and Wellness for many Organizations. Manoj has over 25 years of experience in IT and ITES sector. Sectors Served: Banking and Finance, IT & ITES, across India and America. Certified from SHL, Assessment and Development Center, Certified for DISC Profiling, Thomas International. Manoj has a Master Degree in Applied Mathematics, specialization in Computer Science with Diploma in database Management. Ex Head of L&D at Oracle FSS, founder of Fantabeans, blog writer and passionate Fitness coach. Manoj is a Marathon runner, long distance cyclist who has done BRM is Randonneur. Creating love for Mathematics and develop liking for numbers is his passion. Winner of Service Excellence award at i-flex solutions, for outstanding contribution in field of e-learning. Created many successful managers during long tenure in Corporate. Design Thinking Expert Facilitator, Business Consulting in Change Management, Culture Change initiatives, Project Management, Leadership Development. Yasmin is proficient at facilitation using the Design Thinking Methodology to lead and facilitate change management programmes for decision makers within an organization. She comes with a rich consulting experience and working with leadership teams in various sectors and is the right person for delivering complex change programmes and initiatives for an organization. As a Design Thinking Expert: Yasmin can help decision makers and leaders to further their Innovation agenda by facilitating Design Thinking programmes and supporting the institutionalization of Design Thinking as a way of working. She can also run facilitation workshops using the Design Thinking Methodology to help solve complex business problems or change management initiatives and projects which could reduce project delivery timelines and avoid cost overruns. As a Consultant: Yasmin can entrench herself in projects or initiatives to relook at the problem statements, existing processes, changes needed and creating new processes. This would ensure a successful project delivery through various initiatives like process alignment, needs analysis of employee skills at all levels, leadership workshops and learning workshops for middle management which would help glue together new behaviours and long term effectiveness. Yasmin brings with her a total experience of 18 years in 10 different sectors where she has worked on successful pilot projects or delivered change management initiatives as an employee or as a consultant. Associations: Yasmin has been associated with Capgemini Consulting, AstraZeneca Pharma, Tata Telecom, ABN Amro Bank, Ecole Hoteliere Lavasa, Mitcon Consulting and served in sectors like IT, ITES, Pharma, Manufacturing, Hospitality, Aviation, Government, Education, Retail, Banking and Telecom. International Exposure: Yasmin has delivered projects for leadership teams from UK, USA, Sweden, France, Germany, Italy, APAC region and has the ability to quickly understand the expectations and brief provided by leaders. Yasmin has Bachelors in Psychology & English Literature. Yasmin is a true believer of Servant Leadership and imbibes this in her life, however, don’t expect Yasmin to maintain the status quo – she thrives on changing the world around her, by shaping and communicating a vision she believes in and challenging stakeholders to achieve it. Yasmin powers strategic thinking through interconnected ideas in a deliberative manner that yields a strong basis for change – what most executives seek from a consummate change leader to enable their strategies. Yasmin’s ability to effect change programs are reinforced by her understanding and use of the Design Thinking Methodology to facilitate and support transformation journeys. Her ability to facilitate client mindshare across such transformation journeys establishes Yasmin as a mature change leader who can lead significant outcomes for those she chooses to work with. Fast track promotions and recognition owing to excellence in performance starting from her first job at ABN Amro Bank and continued throughout all her other stints. Her ability to quickly understand strategic agendas helped her become the person to go to in times of change, crisis or expansion projects. Yasmin was awarded various certifications throughout her career for learning initiatives and was also presented an award at Tata Business Services for a Six Sigma Communication Project which she envisioned and delivered singlehandedly. This project was launched in Mumbai as a pilot and then successfully run simultaneously at all 7 Centres in India to educate employees on Six Sigma and its translation into their day to day deliverables. Vipul works specifically in areas of Leadership and Organizational Development with expertise in improving Customer Service, Executive Presence, Emotional Intelligence, Storytelling to Influence and theme-based workshops like Diversity and Inclusion using Forum Theatre. He works specifically in areas of Leadership and Organizational Developmentwith expertise in improving Customer Service,Improving Personal Impact and Presentation skills, Situational Leadership, Emotional Intelligence, Storytelling to Influence. He has worked with the Senior Management on themes such as revisiting Values and Culture, Collaboration and Diversity and Inclusion. He uses the Columbia University Framework to coach people on improving executive presence, career transition, moving across different roles, creating Focus and Purpose, enhancing their emotional intelligence at work and in life. Vipul has over 21 years of work experience and is currently a Leadership Facilitator and an Executive Coach to Fortune 500 firms. His passion is to unlock individual potential and improve organizational performance specifically in areas of Leadership and Organizational Development with expertise in Improving Personal Impact, Presentation skills, Situational Leadership, Stakeholder Management, Emotional Intelligence and Executive Coaching. Vipul started his career with the Oberoi Hotels, India and has lead people in Operations, Quality and Business Process Outsourcing with companies’ like AVIVA Life Insurance, TATA AIG General Insurance, Max Life Insurance and GenPact. With a rich experience of working with opening teams and a Six Sigma Black Belt, he has been instrumental in training people on core processes, procedures and systems. Some of his projects have had a huge impact on increasing Revenue, reducing Cost and Effective Change Management. Vipul is a certified actor trained by Barry John and Jeff Goldberg (Method Acting). As a passionate actor he uses his stage experience to design and conduct interactive theatre for his corporate clients. He has been a visiting faculty as a Drama Teacher for schools in Gurgaon and facilitated workshops with schools and written scripts and directed plays for them. He has also done a course in Writing for Drama from The Oxford University. He has been acting on stage and screen for the last 8 years. Vipul loves watching movies, reading about Human Behavior, playing Sports, Travelling, and Exploring new cuisines, Cooking, Playing Board games.